On the right of this page you can find the list of dive courses that we do offer. We also have a lot of other dive education programs available - just contact us! 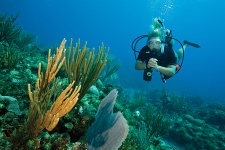 We offer the complete range of dive courses - for example all specialties! Please contact us , so we can organize your Course for you.